Presidential elections got you stressed out? | That's Bad For You! Presidential elections got you stressed out? Who will be the president for the next four years? This is all people have been buzzing about for the past couple months and more intensely in the past week. Well folks, tonight is the night! 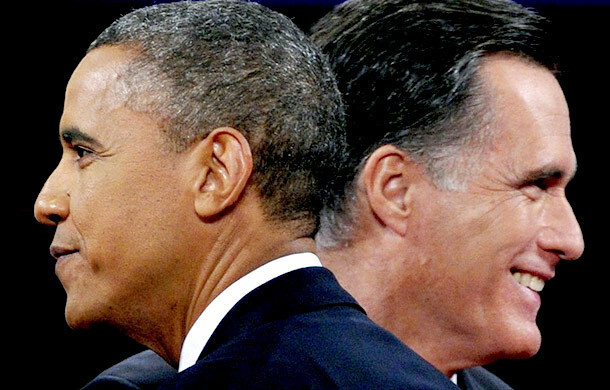 Either Barack Obama will serve his last four years as president or Mitt Romney will open up a whole new era as president of the United States. Many people are worried about the outcome of this election, which looks very close already. Some are worrying about the future of a lagging economy, the housing crisis, their jobs and finances. Others are just stressing to cast their vote in time. Nasty campaign ads, replays of the debates, Twitter and Facebook going crazy, negativity and opinions all over the media, leaving us with the constant reminder that your vote counts toward the future. All of this has gotten some people on edge and feeling stressed. Believe it or not, there is something experts are call, “Election Stress Sydrome.” Do you have it? Find out if you do, and if so, there are ways to handle this and to manage stress. Tonight is the night of truth! And remember, what it is will be! Stress is bad for you, don’t do it! This entry was posted in Helpful, Interesting, Potentially Bad and tagged 2012 Presidential Election, abc33/40, Barack Obama, Election Stress Syndrome, Mitt Romney by thatsbad4u. Bookmark the permalink.